Manufacturer and exporter of diesel engine and spares. 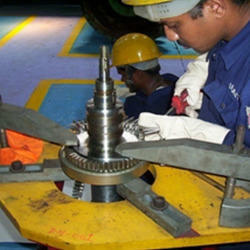 Also provides diesel engine repairing service. 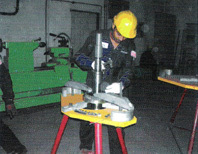 Working with high speed rotating machineries one of the important things is balancing. Excessive vibration in rotating machinery can cause unacceptable levels of noise and, more importantly, substantially reduce the life of bearings and can cause severe damage to the turbocharger and break downs of these turbochargers can harm personnel. The unbalance is caused by an effective displacement of the mass centre line from the true axis caused by some mass eccentricity in the unit. The best one can do is to reduce this unbalance to a level that will not adversely affect the bearing life and will reduce noise levels to an acceptable level through Dynamic Balancing. All our workshops are equipped with SCHENCK German made balancing machine with computerised Software to provide precision results. Dalwin Marine offer reblading services for turbine blades On Exchange Basis or Complete replacement with new turbine blades. The process includes the removal of old blades, drawing development, reverse engineering and also the turbine blade set on exchange basis if schedules are extremely tight. The re-blading helps in the efficient functioning of these machines and ensures long lasting functional life in a cost effective manner. Dalwin Marine offer reconditioning of rotor shaft bearing journals, spigots, seal areas by applying metalizing process on rotor shaft. 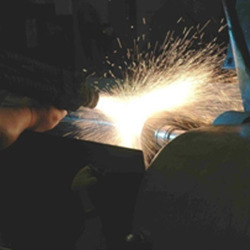 This process is further divided into two parts: 1) Cold metal spray 2) Hot metal spray. Once the process is over then by machining it is bring back to original standard. Dalwin Marine offer reconditioning of ball bearings and lube oil pumps on direct sale as well as on exchange basis. Dalwin Marine stocks wide range of turbocharger parts to connect anywhere in the world. All the spare parts are of genuine quality and strictly as per your required specification. we trust in modern equipment employment. our operating procedure continuously updated to meet quality and safety of vessel and at par with industry’s new developments. 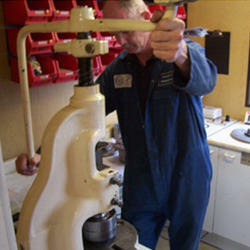 dalwin welt’s expertise lies in the reconditioning of worn out marine parts. our reconditioning technologies and experience in ship repair made us the only leading company in reconditioning business in the region. 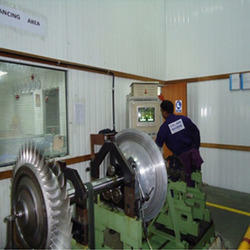 we engage modern technology and process to a wide range of reconditioning works. we ensure optimal quality of our reconditioned products through continuous monitoring of quality right through the process of the crack detection up to the corrosion-proofing. we guarantee effective durability of the reconditioned products, compared to that of new spares. 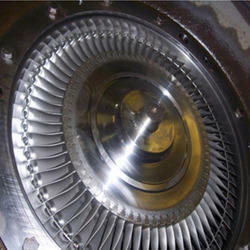 dalwin marine through its network is able to provide prompt service for all makes of turbocharger on 24x7 basis. The technicians are regularly trained by in-house experts and at manufacturers works, ensuring the best quality services. compressor wheel removal and fitment is done with proper quality control to ensure the proper hardness / properties of the material are not disturbed. Highly trained technicians ensure that the due processes are carried out within a controlled environment to ensure total efficiency and quality at all times. dry glass bead blasting is done using dry glass beads to ensure proper cleaning without damaging the surface. 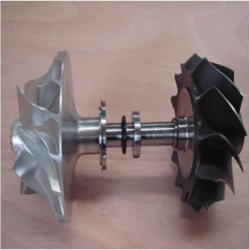 We repair and refurbish turbine blades by highly qualified technicians using the best material and rebuild tc exact profile. dalwin welt has expertise in maintenance, troubleshooting and performance monitoring of all 2-stroke and 4-stroke marine diesel engines. our highly skilled personnel are engineers and technicians with sea going experience; trained at the maker’s yard for quick troubleshooting and problem solving. library of drawings and manuals with constant addition of technical updates from makers/class/administration/shipping companies has developed us as one stop repair solution provider to diesel marine engines.